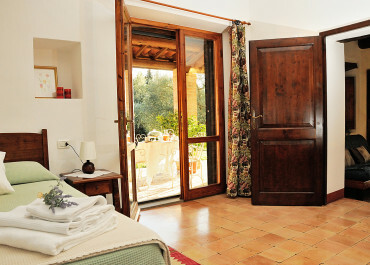 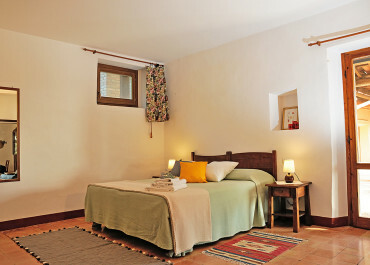 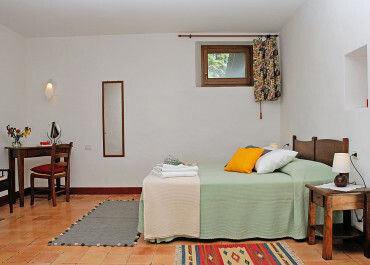 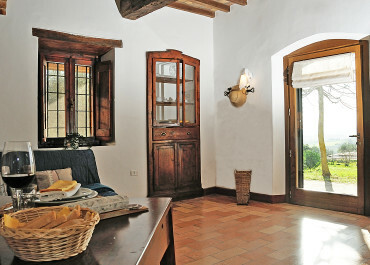 Independent apartment, located on the ground floor of the ancient, stone farmhouse with: living area with fully-equipped kitchen and king-sized sofa bed, and large master bedroom with bathroom and shower. 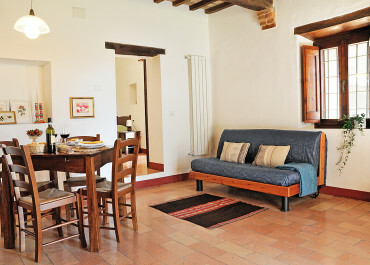 Opens directly onto the garden and has a porch furnished with a table and chairs that offers spectacular views of Todi and the surrounding countryside. 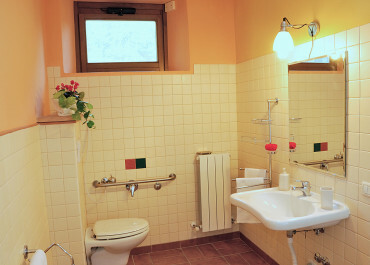 Designed for use by people with reduced mobility.